Make the checkout process for you guests as swift as one click with Prestashop Fast Checkout. This extension allows creating necessary fields for the user to fill in instead of completing 6 long default steps. The fields will be displayed on one page. Besides, the customer no longer needs to register and log in. Allow your guests to check out as quickly as a couple of clicks. 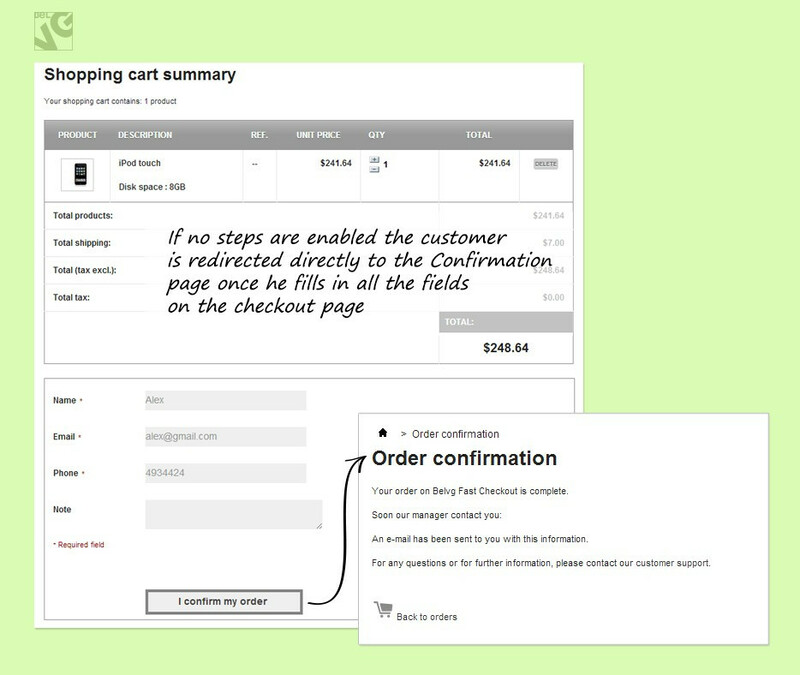 Save customers from annoying checkout steps with innumerable fields that require unnecessary information. With Fast Checkout you can simply select what data the user should share. 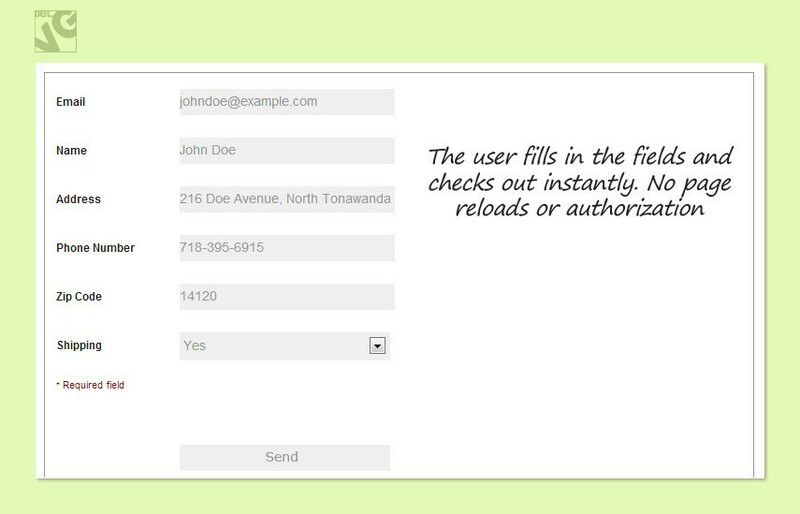 All fields to fill in will be displayed on one page - no reloads, authorization, wasting time and precious customers. 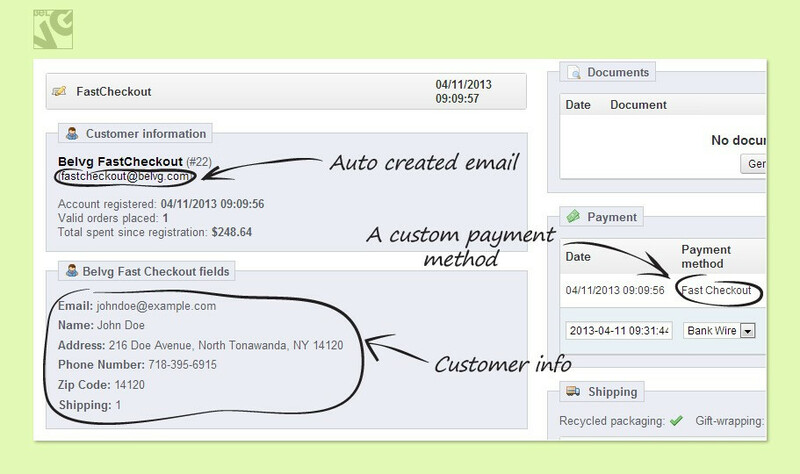 In the back-office, you can easily access customer info. Enable/disable shipping and payment steps. Default checkout process in Prestashop seems to be overextended: the user has to authorize and complete 6 steps. Maintain strong consumer loyalty by offering a superefficient shopping experience to your guests. 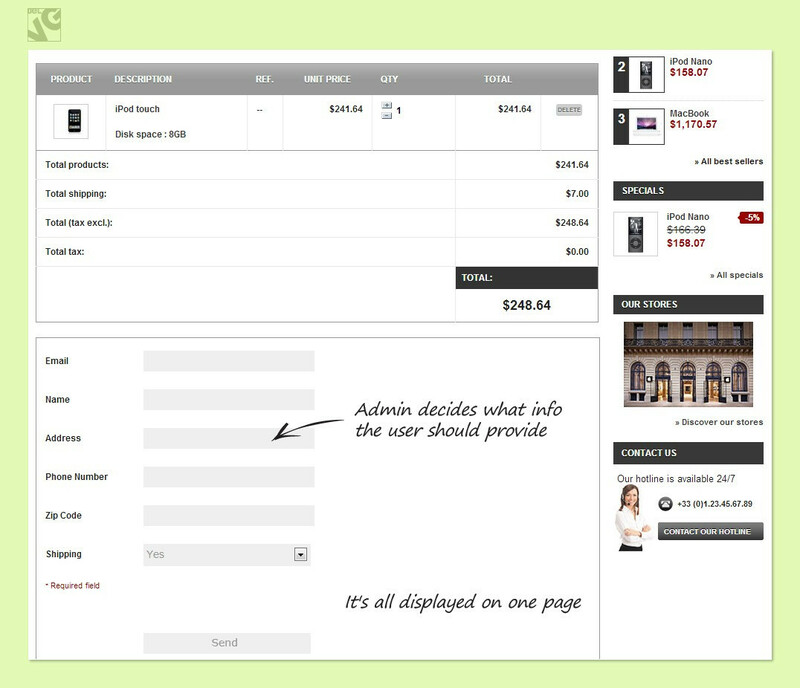 Fast Checkout is a smart solution: it’s now admin who decides what information the guest should provide. All the fields are displayed on one page. The user no longer wastes time creating a profile: the module creates it automatically. The admin can assign a data type to a field. Data type limits the information the user can provide so that the typos could be excluded. 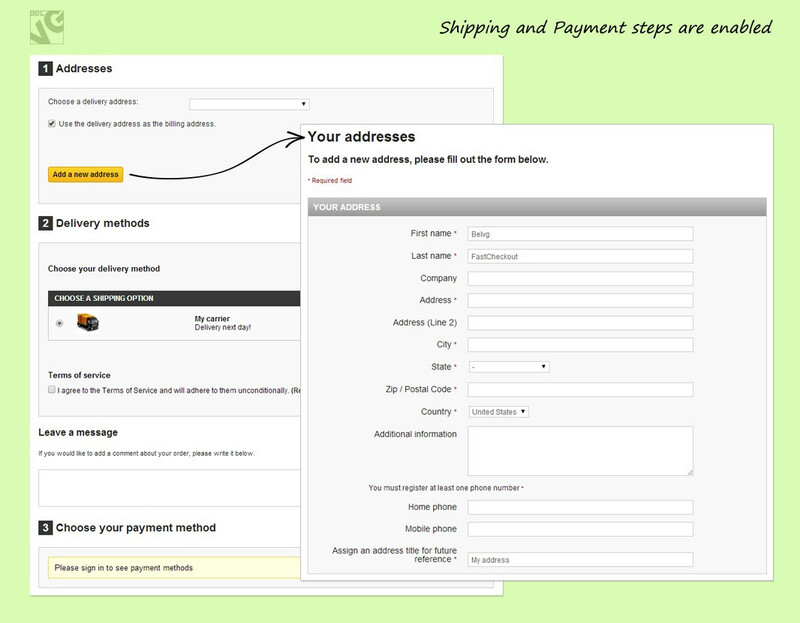 Moreover, to make checkout super-fast the module provides options to exclude Payment and Shipping steps. 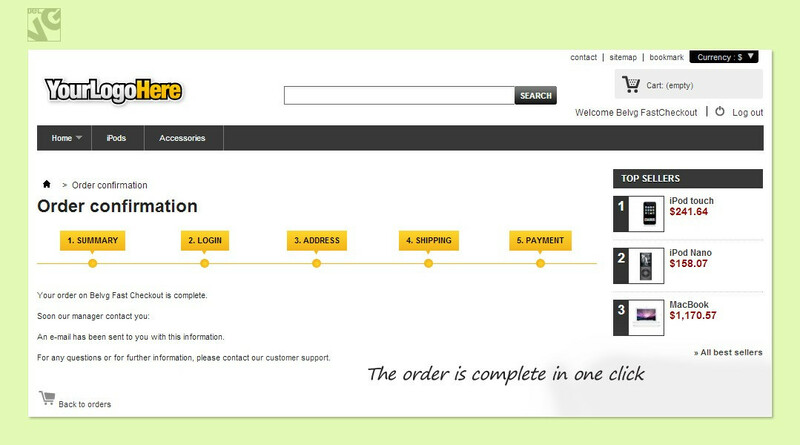 With just two clicks you can turn off/on these steps from the default checkout procedure, so a common customer can potentially have only the Confirm Order page to accept.